Where To Promote Blog Posts After Publishing For Traffic? Where To Promote Blog Posts After Publishing? In order to have a constant flow of traffic to your blog, quality content is not enough. You need to promote your blog posts and make sure they are visible at every corner of the web where your potential reader hangs out. Are you worried about how to share your content, the right way at the right places? Look no further because in today’s post, I will tell you where to promote your blog post after publishing them. Here are some of the tips I personally use to promote my blog posts. Facebook, as obvious holds the top spot of social sharing channels. It alone sends 25% of all social referral traffic to sites. Most bloggers assume that sharing a post on Facebook just after publishing is enough, but here are certain strategies you can use to double or even 3x the referral traffic from Facebook. Create a separate blog group for your audience. Use this group for interacting with them. Providing tips and asking help from them and engaging in other ways. Now, whenever you share a post in this group you can actually see traffic flow to your blog. There are also groups that have highly dedicated members. Just perform a search using “your niche keyword” + group on Facebook search bar. One such group for internet marketers is Pat Flynn’s. On your profile, you can write a status announcing about your upcoming post and ask if your friends want to be tagged when the post is published. This strategy alone drives a lot of anticipation amongst your audition and creates a scene where people wait for your posts. It will naturally attract traffic when it gets published. TIP: Use a URL shortener to measure the traffic Facebook sent you. Twitter is a great source of traffic that can be utilized to promote your latest blog post. Here are some tips to make the most out of it. Set up twitter cards for more conversions. Here’s how. Engage with influencers and your own followers. I have a detailed guide on twitter marketing. Pinterest is the visual social bookmarking site that can be useful if you have good graphics. Try to promote your pins on Pinterest with proper hashtags. Pinterest group boards are a great way to drive referral traffic to your posts. Use this link to search the best group boards in your niche. LinkedIn users are professionals who know what they want to see and read. Sharing your blog post on such a network can give you real targeted traffic. Use LinkedIn groups to share your posts to even more targeted audience. One of the most underrated social networking sites, Google plus is a gem for online marketers. More than 90% of users who use Google plus are online marketers and bloggers. It is the second largest social networking site after Facebook. Google plus recently launched collections, which is said to be a competitor of Pinterest. Here is how you can use Google plus to drive maximum traffic. It would be foolish of us to not to mine this traffic source for our blog. Your email newsletter is probably the most important place where your loyal readers reside. If someone has signed into your newsletter it means he is actually interested in what you blog and wants to read more of it. Sending them your published blog posts increases the chances of conversion and shares. Use Auto-responders like MailChimp or GetResponse to send broadcasts to your email subscribers. Quora, the question and answer network, is a great tool for showing your brand and authority. You can also use it to promote your blog posts. Quora has a meaningful influx of users (nearly 1.5 million per month) who know what they are looking for. Answering to questions asked by users in a valuable way and adding relevant links to your blog can get a more exposure. As Quora users are quite dedicated, many marketers and bloggers also ask questions related to their upcoming posts to collect ideas. If you have a convincing answer to their question, you can also land chances of backlinks. Use the search bar to type find questions related to your keyword. On relevant threads, write a compelling answer and link back to your blog. Every time you publish a blog post, make it a habit to answer questions related to your topic on Quora. Here is a more detailed guide to make the most of it. Reddit is a place that can make and break a site. Make in the sense it can give you tons of traffic. Break in the sense it can send you so much traffic that will crash your site. Reddit has over 174 million unique visits per month and here is how to tap on this never-ending traffic resource. Set up your profile, a professional looking one. Try to remain active in threads related to your industry. Also, find some sub-reddits (reddit has nearly 8000 of them) that are really large. You can use meta-reddit to keep a track of the best sub-reddits. Try to study how these reddits work. Are they allowing promotional content? Or how is the tone of the users there. Post your blog post with some fitting intro to it. Bonus: Read my guide to do Keyword Research using Reddit. Slideshare is the visual content marketing platform that happens to enjoy almost 60 million visitors per month. 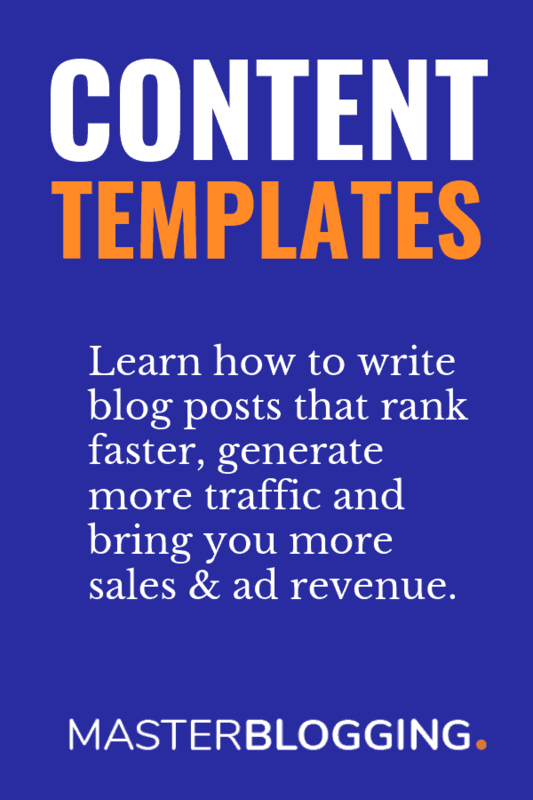 You can use this traffic volcano to warm up your blog by simply posting your blog post as a slide or PowerPoint PPT on it. Here are some tips to make the most of SlideShare each time you publish your blog post. Use images that stand out. Having less, but clear text on each slide binds up the user to your slide. Insert a link back (to the post you are promoting) in the last slide of your presentation. Here is how to grow your SlideShare traffic from 0 to 243K views in 30 days. YouTube is like the video galaxy of the universe. Ironically, it is the second largest search engine after Google with over 5 billion searches per month. This is enough to get you share your content on this video platform. The secret here is you don’t have to be a video maker or any multimedia course graduate to drive visits to your latest posts using YouTube. All you need is to be creative and use good visuals to create a presentation using PowerPoint. You can also convert your existing SlideShare ppt into video using PowerPoint. This can be uploaded to YouTube with links to your blog post. This way you are using both SlideShare and YouTube on one go. Other alternatives of YouTube are vine, vimeo and dailymotion. The one reason I ignored LinkedIn publishing in the social media section is this is not social media but a separate platform similar to blogging. In LinkedIn publishing platform, you can write a separate blog post related to your just-published post and link it. You can also republish your recent post on LinkedIn with minor changes. Here are some tips from Gregory Ciotti who has been quite successful in the platform. Link roundups are when bloggers collect the best posts in their field and publish a weekly or bi-monthly post featuring them. This is very useful since the publisher doesn’t have to take extra efforts to create a new post. Similarly, the audience also is benefitted by staying on the top news and best resources that week. You can, however, use this strategy to promote your newly published post by emailing the publishers of these roundups. If you have a content worthy of linking back, they will surely feature your post. Link roundups benefit you by giving backlinks to your newly published posts an also giving it huge exposure. Here is a list of over 60 blogs conducting round-ups that you can use to promote your post and get traffic. Outreach is probably the best method to get influencers and other bloggers share your blog content. Additionally, this can bring you backlinks that are valuable. Whenever you write a post, try to include quotes by famous bloggers or link to relevant content of authority bloggers. After the publishing of the post, give them a heads up that you have mentioned them in your post. This process is also called ego baiting. Most (if not all), will respond to your message and either share your content across their social channels or link to your blog posts too. Read my detailed guide to Blogger Outreach to learn how to do it effectively. For a detailed guide on how to use social bookmarking for maximum conversions, read this post. These were the best places you should be using to promote your blog post. I personally use them and they convert really well. If you have any doubt to make the most of any channel or if something is not working feel free to comment below and I will try my best to help you. I share most of My articles in Facebook Groups namely Smashing Bloggers ,Blogging Squad , Blogging Communities etc . Facebook groups are fine to get traffic but bro I’m not getting traffic from stumbleUpon. It only gives me bounce rate and nothing else. How you are getting traffic from stumbleupon. Please share your strategies of using it. Nice post indeed. I learnt some new things from here like sharing in google+ communities, linkedin groups, etc. Regarding your query on stumbleupon traffic. Just do the similar thing like we do on other social network. Stumble others posts. Join relevant interests, comment on others post, etc. you will definitely get some traffic. Traffic is depend on your activity. Hope this will help you. How are you? This is one of the useful posts of you. I should say these places (G+, LinkedIn, FB and Blogging communities) are not nonsense places rather they are great place to get targeted traffic. Keep doing and sharing good stuffs. Yes bro, all these are great places to get referral traffic to our blog and I truly love them. Bro, would you like to share your ways to promote your content. I would like to hear from you. Now I’m well bro, thanks a lot for asking. Google+ communities are the best for me to drive traffic to my blog. Your welcome buddy. Yeah truly LinkedIn is for professionals and if used smartly then we can get good results. Bro, would you please share the G+ communities name where you promote your blog articles. First of all i am totally impressed by the title of this post. After read the article i found something different. that thing make me laugh and more curious to read this article. These are the BEST place in which you can share your POST. Thanks For this WONDERFUL article. Hoping you provide some good topic. Thanks buddy..I’m happy that my post impressed you. first of all Welcome back Ankitther. I prayed for you. this post is great. you say right we should share our post only limited group. my point of view share only one or two post per day. but quality content with great description. People don’t like to junk of post per day. if you share limited post then visitor interest in you post thanks brother for sharing such kind of post with us. Please brother it’s my request to share a great top 100 or more social bookmarking site list which give us more traffic and do follow link. Thanks bro for being here on my blog and I really appreciate your comment. Hi Ankit, Ca you suggest a few active Google plus communities where we could all help each other out? Yes Ankit, we would appreciate if you could help with some google+ communities. buddies, it’s not a big deal to look for G+ communities. Thanks buddy for being here and to appreciate my content. I love to hear precious feedback from my readers like you. bro its a worthy post for me. i also request you to provide the list of directories that you r using to submit your content…. Bro, I had shared the directories list above. Check out in the post. And bro, I’m a full time blogger. I got time to do blogging efficiently. Yeah sometimes it being tough to manage time because of client’s work but I manage. My favorite is LinkedIn groups, there i get quality traffic and comments from, apart from the traffic i get from them, i consider them a great source of backlinks. SO i always share my posts in those places when i publish. Yes Nwose bro LinkedIn is the most popular and quality social sharing place from where we can also get Uk sides traffics. It also gives us quality back-links, a great source for sharing blog posts. I am using these techniques and getting good results. This best to get targeted traffic on your easily and if your content have a worth of information for them then you can get permanent reader from there. Thanks for sharing these ways for us. Your valuable content can easily convert your visitors into regular readers and these all places are great source to find targeted audience for your blog. I am totally agree with you Ankit, we should not waste our time on in active groups or pages. there are many reputed places where we can promote our posts. Thanks for the info. Surely we can attract lots of targeted traffic to our blog posts from social media sites, blogging communities and groups but as you said it’s tough to find an active group of bloggers. But once to get them, it’s worth your time. Nice article, I agree with you about the point you made about Stumbleupon, when share any post on Stumble you get traffic immediately but they disappear with same speed, I think to get real benefit from stumble you have to spend time with them stumbling others post. G+ communities will be one big source for all bloggers, as it is comparatively new there is huge potential of traffic. Triberr is a good source again need to spend time to get maximum benefit, Inbound does not encourage people posting their own post. Commenting on places like Mashable does help to get some traffic, but don’t know how targeted they are. I’m using mostly Facebook groups for my blog post promoting i also using Google+ and i am getting great results I think Facebook groups are greater opportunity for every blogger to share their blog posts facebook groups giving 60 percent Reff Traffic which is very nice for our blog. This is indeed a great post bro, I do make use of bizsugar consistently and this has really helped my blog in the time being. Thanks for sharing this bro! I have read it completely and it is very good and easy to implement.Thanks Ankit. Nice article Ankit, I have been using Facebook and Google Communities but now also know about the LinkedIn groups. Thanks for you valuable post. Thanks 4 sharing one more fantastic article , i usually use Facebook group & g+ communities for blog traffic. Ankit could u plz tell me how to use stumble upon to get huge traffic ? & thanks again for your post. Interesting and informative article. i am always looking for more places to share my blog posts. At one point I was trying to learn about Stumbleupon. But then I realized that the traffic comes quickly but it does not stay very long. I don’t use LinkedIn. I thought that you had to have a certain type of site to share on it? Thanks for this info..it really helped me out. Well no doubt sharing blog posts in facebook groups is really cool idea and it can get us awesome amount of referral traffic. And i think i should give a try to other mentioned ideas. yet another Amazing post from you. Sharing articles on Google + is really benificial. There are high chances that your blog is listing high on search engine rankings. Beside that I have never used Linked In to promote my blog. Well I would give that a Try later. Thanks anyways for the amazing update. keep up the good work and keep posting more awesome content. I have just started my blog( with help of friends) and this is something which I need now. Promoting your blog is really important if you want to get success. Facebook group seems like a great idea. I have established a Page for my blog. What do you think ? What are the best ways to increase like ? Feeling happy after reading this post 😀 really i was not aware before how to use social sites. I shared my link on different social sites but did’t get any traffic what was the reason i have learned after reading this post. Its really a precious post very thanks ankit. superb,ankit as usual i post my blog post on various facebook groups,google+ communities.but never received much response from them why don’t you just share your secret of driving traffic from social media.what exceptions should i do to get more from them. There is not secret to drive traffic from social media. But I can suggest you one and the best thing which is that you must be active over the social media and try to engage with others. Comment on others’ posts and share them. They will do same for you too. First Of All I Would Like To Say To You A Wonderful Thanks For Share This Post With Us. Because this is very common problem of all bloggers. But sir is this good or bad that i am sharing my article on(G+,Facebook Page Only,Reddit,stumbleupon,twitter). Sir If yes then it is good for me if no then please can you tell me the site name only. I was also thinking that why am I not getting any backlinks from google+ and linkedin, though i was only sharing my all posts on my specified pages where very less visitors come and clicks on my links. now i got to know about the real funda to get social media traffic and quality backlinks from these social sites. I want to know what is the benefits of sharing your content on blog communities. i know it drive traffic to your blog but there is another reason. Do you have. Blogging community are a big source for driving traffic, but that’s not all. There is a lot of benefits of using blogging communities which makes it more useful to join blogging community for every bloggers. Click on my name to visit my blog where i have been mentioned the benefits of using blogging communities. It is a way to go, though I think that Facebook groups barely can bring any traffic, but it is not very time consuming task. I get quite a lot of traffic from LinkedIn groups and Google Plus communities, though majority of G+ doesn’t allow links. First of all The Title of this article is great and eye catching Too. The content is also great for sharing post. I personally share my post on Facebook groups, blogging communities, Google plus communities and also on various social bookmarking sites like stumbleupon etc. I also hear that Reddit is the best source to drive traffic and audience but i don’t know how to use this perfectly to attract visitors, so can you please add a article regarding this? That was a nice article. But I think besides using the social networking sites to post the content of your blog ,you can also the post the content of other bloggers(not too much) and build a social relaionship with the other bloggers. This would also bulid a faith among the readers about the quality of the content you share. Thanks for the article .Those techniques really work.Thanks again for sharing the communities. I read this article like reading my own article because I also did it all. But indeed, it seems I still have not been up in using Facebook, LinkedIn, Google+ groups or blogging community. Thanks for sharing this with us, Ankit. very nice article to increase traffic by social media. Normally i am using facebook as compare to others. i think facebook will give you more traffic as compare to others. Thank you so much for this valuable article. You are sharing excellent info…thanks….I too learnt alot from this blog…Keep posting more info…. Trick to make yourself popular in Google + community is awesome and i like the way your describe this whole tutorial, keep sharing this type of informative and underground tricks with us. Another Great Post, and unique headlines 🙂 Keep it up! However, my recommend place to share my fresh post will be : Stumbleupon, Google+, Facebook, Twitter, Bookmarking Sites, Commenting on High Page Rank sites……. Thanks for sharing such a great info with us. Previously I’m using only wire for my content sharing from social networks. I would like to choose Google plus communities to drive traffic to my site. I like I have found my life saving tips. Really, it is not kidding. The #4 Blog communities and steps given from this tip are really helpful for me. Right instantly, I will try it out and see the results. If I do well, I will inform it my result to you soon. I cannot describe my feelings now because I have gotten lost in my blogging strategy. after reading this post, I think that I can plan a new great for me! Thanks you so much! Keep posting other posts about blogging tips. I will definitely read all! Nice post Ankit. I think, you have missed stumbleupon. Hi Ankit Thanks for sharing such a useful article but Ankit I have one question that when ever I try to submit the link in Reddit , it always removes my post automatically just after 1 minute…Why it is so ? can u help me in this regard ? I’ve tried this steps especially with Quora getting some traffic via on it and but try to submit on top level bookmarking sites such dosplash , bizsugar etc as normal sites are getting penalized soon good share bro.. I am totally agree with all of your points. I never use twitter cards. Will read the recommended link. And surely will share my experience with twitter cards. And facebook is really a great source to gain good amount of traffic specially from Facebook groups. If you have a viral content then Reddit can help you a lot to gain more traffic. Thanks a lot for mentioning outreach. I never try but once when I conduct a roundup post, I got some backlinks from blogger who participated in that roundup. I have used quora …and the backlinks you insert in your answers does get indexed in Google very fast ….thanks for the another awesome post …. Hi, Ankit, this post of yours is an excellent one. You have covered every details of how to share one’s blog post in the social media and grow traffic. More so, for bloggers who are at the nascent stage. can you tell me how to use Dig? It has new interface that I am unable to submit my post link. Yes, Quara is the best place to gain regular traffic. Thank you Ankit for your article! I was looking for some gems and I definitely found one! That’s a fabulous post on traffic generation. Thinking of referring it on my next post. I have a question though. Is it necessary to jump on every platform or community and every strategy to build traffic at a time? I know more is better but not all bloggers have the time to promote their posts in the numerous possible ways. I think focusing on a few platforms based on the kind of readers a blog requires is a better deal. What do you say? I LIKED all the mentioned points. I use just a few and they are working good for me. To increase my reach more, I should be using all of them for sure. Thanks for this amazing post. It is very important to promote your posts after you write them, sharing brings a lot traffic from your connections in social media and sometimes you may also go viral if you deserve that. I was used to use only Facebook Pages, Twitter and G+, but thanks to you now I’m trying Reddit, StumbleUpon and Quora. Awesome points for bloggers for getting more genuine traffic. This is exactly what I needed to read. Well appreciated your efforts here to get all the point consolidated in one article. Thanks for sharing the same. This is definitly a creative list of sites to grab traffic for your blog posts. Blogging needs more and more traffic to survive for long time. your tips are really helpful. Useful post mate. I was planning a strategy for content promotion and was realizing that its equally important to spend time on content promotion, rather than just publishing the content and not focusing on its promotion. I was searching for some new channels where I can share the content after I Hit the Publish button. Although, most of the option I am already using but the social bookmarking sites you have mentioned here are what I know but I am not using them. I’ll be trying my hand on some of them, building new profiles, connecting with other marketers there and promoting the content. Lets see how it works. I’ve stopped sharing my articles on social media and rather I use Ello only to share my posts. Is that really good platform? Thanks for your article, I’ve got a question, do you have any experience with Arabic contents, Advertising and SEO? Do you think it would effect your SEO ? should i use short links like wp.me? Thanks Ankit For This Awesome Post That You Shared. But In Now Days DoSplash Don’t Accept New Registration Anymore And Kingged Not Support Submitter From India.Overall All You Mentioned Method Works Well For Me To Increase Visitors On My Blog. Thanks for this awesome list of many places to share my blog posts. I used some of them and will use some of them. Thanks for suggesting this awesome list. Also, have you tried ViralContent Bee? This helps to gain lots of social engagement and traffic to the posts. This also increases social media authority of our accounts. I am not related to this company, I just wanted to share my experience. Anyways, very very thanks for sharing. One cool site to promote your posts is Landesy (landesy.com). Not many people know this site but is a nice community of bloggers that share links to their posts. I ‘ve been posting some links and is pretty good, not getting loads of traffic but the little traffic is very interested in my content.